For years, women have been keeping collections of fine jewelry that ultimately go unworn. Some of them were presents or engagement rings, some were inherited and others they bought for themselves. But after having kids, building careers & businesses, many women find less purpose for elaborate earrings & designer jewelry. So, instead of holding onto expensive jewelry they don't wear, some women have started to sell jewelry that can, in turn, become useful or needed cash. To many women, great grandma’s cameo brooches, lockets, and hat pins are looking less like treasured antique jewelry and more like a way to finance a business move or college tuition for their child (or themselves!). This is a big transformation from generations past, when there wasn't as much demand to sell jewelry. Now, that the demand has grown, there are more places to sell jewelry both locally and online. With the fluctuating value of gold jewelry and diamonds, it is important to choose the very best place to sell jewelry, that fits your needs and can give you a fair offer. Selling jewelry locally or with a jeweler near you comes with a significant challenge as the retail markup for jewelry far exceeds its market value and a conflict of interest exists when it comes time to buy those pieces back. Many individuals prefer to try locally first and work with a trusted jeweler. However, many people find that their jeweler has a limited ability to provide a fair offer and ultimately turn to online solutions with expanded offerings. The immediate benefit of selling jewelry online is plain and simple - more offers. When working with a single jewelry buyer, the value of your jewelry is up to them at any given time. When there are multiple jewelry buyers, the true market value of your jewelry can more easily and accurately be determined. 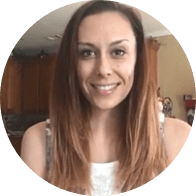 From a larger pool of demand, comes a greater likelihood that a fair, even competitive offer will be made. Worthy taps into this very concept with the Worthy auction platform. Once your diamond or jewelry has been graded by either GIA or IGI, professional, trusted jewelry buyers from Worthy’s Buyer Network are invited to bid on it. Believe it or not, selling jewelry does not have to be difficult, unsafe or time-consuming. Worthy’s process simplifies and streamlines everything making the process smooth and risk-free. Get a Trending Market Price - Tell us a bit about your jewelry, we’ll survey the market and similarly auctioned items and show you its auction potential. Secure FedEx Pickup - We’ll provide you with a fully insured, prepaid shipping label addressed to our headquarters. Grading & Auction Preparation - Your jewelry is graded at GIA or GSI labs, resulting in an e-report. Shortly following, your jewelry will be photographed in HD, from every angle. Auction - Jewelry buyers are invited to bid on your jewelry based on the flawless photographs and detailed report. You are able to watch the auction map live as the bids roll in. Get Paid - If the highest offer meets or exceeds your reserve price, you get paid almost immediately. If not, you have the option to have your jewelry returned to you free of charge and fully insured. Why Should I Sell Diamond Jewelry With Worthy? Though Worthy is an online company, we are a company of people. As people we understand that jewelry, especially pieces such as wedding rings, can hold sentimental value. That kind of value is not measured by a grading report, or an appraisal. It is why, when you make the decision to sell your jewelry, we want you to know that it is in the very best hands. In addition to putting in the work to get you the best offer possible, we adhere to strict protocol to make sure your jewelry is safe in the process. Every step of the way is insured, from the moment your jewelry is picked up, until it is sold to the final buyer. Even more, we’ll update you along the way - you’ll know exactly where you jewelry is at any given time. We are proud of our high level of personal service and expertise that we offer. It’s one of the many things that sets Worthy apart from the rest. You can check out our A+ BBB Rating any time here. What makes a Worthy jewelry buyer? 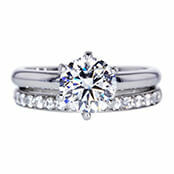 Worthy only works with vetted, trustworthy jewelry buyers. Every buyer that applies to the Worthy network is screened, some even requiring professional references. 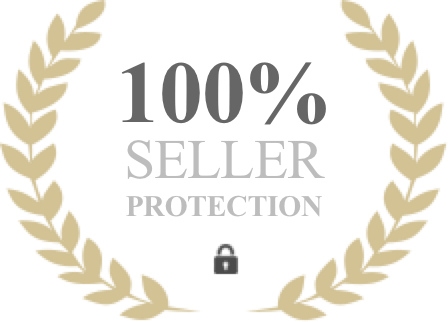 Worthy screens them to make sure that they are currently in the jewelry industry, understand the value of your item and are able to stand by the substantial offers they make at auction. Every item is guaranteed, and every bid is binding. What kinds of jewelry do jewelry buyers bid on the most? 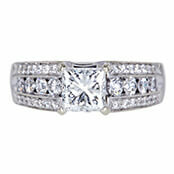 Worthy auctions consist of diamond jewelry in addition to loose diamonds and watches. These items garner the highest demand. Jewelry items containing diamonds that are worth over .5 carats each are most preferable. How do your jewelry buyers hear about my valuables? Buyers in our network have set their preferences for the types of jewelry they would like to bid on. When you tell us about your jewelry piece, we already get to work to build interest in your item. 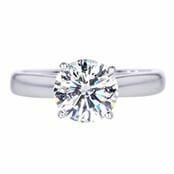 When you decide to proceed with an auction following the IGI/GIA grading, we invite buyers that are expressly interested in your type of jewelry. They have 5-7 business days to place their bids, and receive daily updates to encourage competition.